This post is written by Rob G., a current member of CGMC. 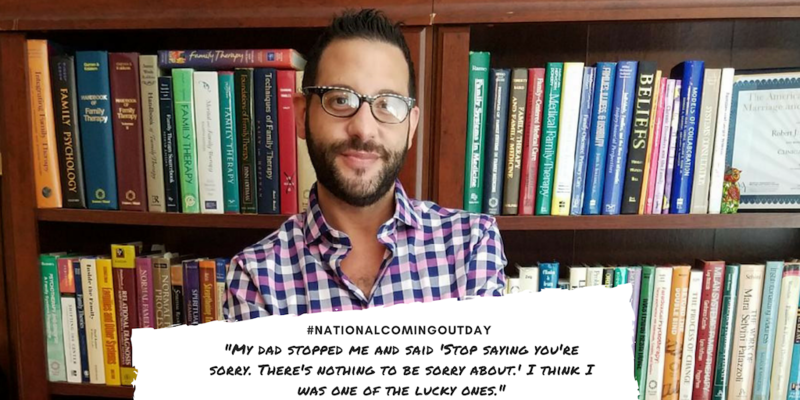 It’s #NationalComingOutDay. I came out to my parents in Manhattan, Kansas at Harry’s Steak House when I was a 24-year-old doctoral student. I kept apologizing over and over again. I was thinking of all the things my parents envisioned for my life that weren’t going to happen, or were going to look different than what they pictured. 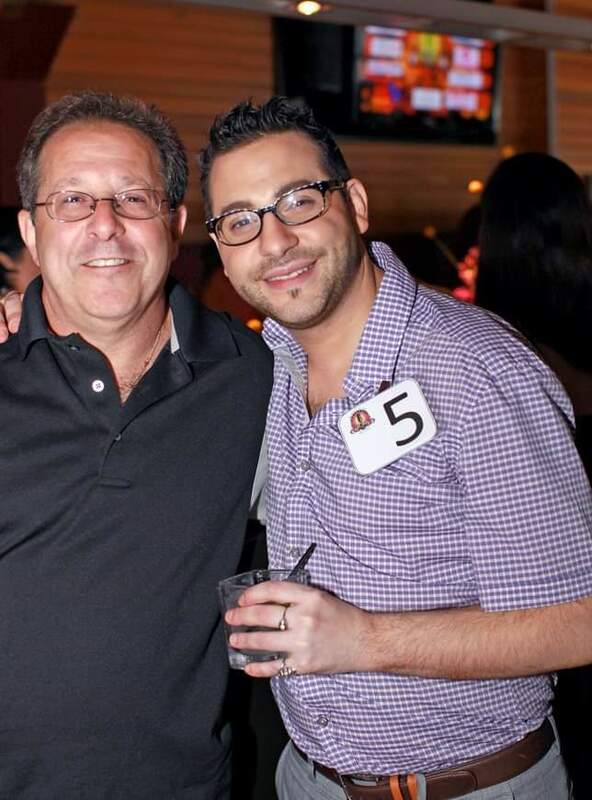 Me and my dad after I won Windy City Gay Idol. 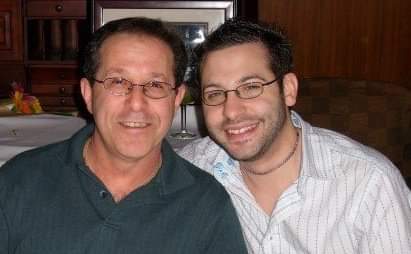 My dad flew in from NYC to support me. My dad stopped me and said “Stop saying you’re sorry. There’s nothing to be sorry about.” It was the perfect thing to say. My dad continues to be the smartest person I know. My mom said it was a phase, and that just because I liked Liza Minnelli and Barbra Streisand it didn’t mean I was gay. Then she said that if I got AIDS she wouldn’t visit me in the hospital. That was just my mom and the way she deals with things. The next day they both met my first boyfriend who I was madly in love with. He got home from work late, and my mom treated him like her own son, insisting on heating up a plate of leftover Chinese food for him. Then the four of us watched Sunset Boulevard together. I think I was one of the lucky ones.